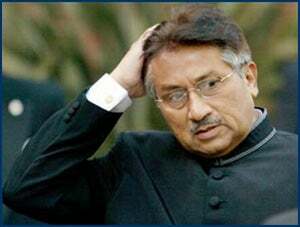 RUSH: Boy, I’ll tell you, I would not want to be Pakistan’s president today, Musharraf. This guy is hanging by a thread anyway. He is just barely holding on. He’s at loggerheads; he’s got a whole terrorist population; he’s got a moderate population; he’s got the United States as an ally; we need to fly over Pakistan to get into Afghanistan, folks. We cannot fly over Iran’s airspace. I found this out when I went to Dubai to stop for a couple days and rest up for the trip into Afghanistan two and a half years ago or so. You can’t fly over Iranian airspace, so what would normally be, I don’t know, an hour, hour and a half, is a three and a half hour flight because you gotta go around Iran. You gotta go up and through Pakistan. We have flyover rights. It’s the simplest and fastest way that we can get supplies to the troops, whatever is necessary in there. So poor Musharraf, he wakes up today, and he learns that Barack Obama wants to invade his country. He wants to take the troops out of Iran and invade Pakistan. Then, after he hears Obama say that, he gets a video from some Al-Qaeda hack who is suggesting that Al-Qaeda conduct a coup against Musharraf and his government. I think the biggest fear that Musharraf probably faces, or has, of these two, is Obama. If it weren’t for the fact that he’s running for president, it would be laughable. What it is, is horribly na&iuml;ve, and he’s just given Mrs. Clinton a hanging curve ball. We have two sound bites from a speech he gave this morning in Washington at the Woodrow Wilson Center for, you know, hopeful presidential candidates to come make big-time speeches on foreign policy. Here’s cut one. OBAMA: We went off to fight on the wrong battlefield, with no appreciation of how many enemies we would create and no plan for how to get out. Because of a war in Iraq that should have never been authorized and should have never been waged, we are now less safe than we were before 9/11. Six years after 9/11 we are again in the midst of a summer of threat with bin Laden and many more terrorists determined to strike in the United States. What’s more, in the dark halls of Abu Ghraib and the detention cells of Guantanamo, we have compromised our most precious values. RUSH: Yada yada yada, same old,same old, same old playbook song: we are destroying our image around the world. We are making them mad at us for all this imaginary torture that goes on at Abu Ghraib and Club Gitmo. Here is another portion, a second bite of the Obama workout this morning. He had to give this big foreign policy speech, gotta go out there and shore up his credentials and show the world he’s a serious guy. OBAMA: The president would have us believe that every bomb in Baghdad is part of Al-Qaeda’s war against us, not an Iraqi civil war. He elevates Al-Qaeda in Iraq, which didn’t exist before our invasion, and overlooks the people who hit us on 9/11, who are training new recruits in Pakistan right now. He is fighting the war that the terrorists want us to fight, a misguided invasion of a Muslim country that sparks new insurgencies, ties down our military, busts our budgets, increases the pool of terrorist recruits, alienates America, gives democracy a bad name, and prompts the American people to question our engagement in the world. RUSH: Wow. In this speech, he also said that if Musharraf doesn’t do the right thing over there and clean out these terrorists in the mountainous regions, he’s going to go in there and do it himself. He would invade Pakistan. Now, the military futility of that is crazy. They have a 39 million-man army in Pakistan. They have nuclear weapons. They play a vital role for us. If you look at the map of that region, you find that there’s no suitable replacement for Pakistan if we alienate them in order to base ourselves for staging operations to re-supply troops in Iraq and so forth. Just from that sense, this is a nonsensical thing. It shows exactly what Mrs. Clinton claimed Barack Obama is, and that’s na&iuml;ve. This has so much na&iuml;vet&eacute;. He’s just trying to bulk up here, he’s trying to flex his muscles to demonstrate to everybody just how serious he can be, and also make a play for the anti-war left. What’s interesting about this whole spat is the way the media plays this. Obama says he wants to invade Pakistan. Well, not really all of Pakistan, he just wants to go into northwestern Pakistan. Have you checked to see how that could be done? You would have to go in from the Arabian Sea. You need lines of communication — it’s been said today — you need lines of communication to muster such a massive military force. Pakistan is what provides that now with our flyover rights, staging base operations, all that would come to a screeching halt if we just invade this sovereign country, which for the most part, is an ally. Almost170 million people live in Pakistan. It’s a wobbly government. They got nuclear weapons. The peace candidate wants to send in troops. Isn’t it amazing how these guys want to lose in Iraq, make up stories about how Al-Qaeda was not there. We know for a fact that the Al-Qaeda that is there came in from Pakistan; they’re coming in from Syria; they’re coming in from Iran. Al-Qaeda is Al-Qaeda. We know that this Al-Qaeda in Iraq was a phony front group created to make it look like there was a civil war going on there, when it’s not. If you had a Republican out there making a statement like this, one of the Republican presidential candidates, the Drive-Bys would be over there with psychiatrists giving diagnoses without having seen the patients or anything. We all know what Obama has to do here. What Obama has to do is be a foil for Hillary. Obama is there to make it look to us like Hillary can overcome a challenge. He is playing the role perfectly while thinking, unless he’s in on it, while thinking he’s distancing herself from her in a more serious way trying to get over this notion that he is somehow na&iuml;ve. RUSH: Here’s Ron in Bend, Oregon, you’re next on the EIB Network. Hello. CALLER: Do you remember how you told us how Ronaldo Magnus destroyed the Soviet empire? RUSH: Ronaldus Magnus. Yes, I remember that well. CALLER: Okay. He destroyed the Soviet empire because they ruined their army in Afghanistan, and they broke their budget trying to keep up with our arms program. RUSH: Wait. I have a question. CALLER: Okay. It’s a hypothetical. We’re not fighting this the right way. CALLER: We’re wrecking our army. RUSH: My question is not hypothetical. Do you mean to say, moments ago at the beginning of your phone call on this program that obstacle lured us into Iraq for the express purposes of having us destroy and break our army? CALLER: He hoped we would get tangled up in Afghanistan. Instead, he was beaten there. Then we went into Iraq, and there is nothing he likes better than us staying in Iraq. Do you know next April, the army either has to extend tours to 18 months or do something else, because we don’t have enough soldiers? RUSH: I don’t think that that’s accurate. I don’t think bin Laden is happy about what’s going on at all — if he’s even still alive. I don’t think Zawahiri… I don’t think these guys are happy about what’s going on at all. They’re being wiped out in Iraq, and they’re being pushed out by native Iraqis. The trend has started to occur. Our military, by the way — you have to grant this — is a little bit higher stature and caliber than what the Soviet Union’s was. CALLER: That’s true. But the string is great. The number of troops is not what it shouldn’t. We talked about this a couple of years ago, and they’re not yet beginning to increase the size of the Army and the Marine Corps, and that’s where the losses and that’s where the fighting is, the Army and the Marine Corps, not Air Force fighter jets and Navy carriers. RUSH: I’m reading that they’re meeting their recruitment goals overall. RUSH: They might be down a little, but so far they’re on schedule to meet their yearly goals. You’re going to have ups and down month to month. You start analyzing it that way, and you can say anything is failing. CALLER: Rush, can I suggest one more thing? RUSH: Well, go right ahead. CALLER: In case we never talk again. Rush, have you ever thought about this? If this thing in Iraq is as big a catastrophe as it portends to be, you may be helping ruin the Republican Party for the next 30 or 40 years? CALLER: Have you thought about that? CALLER: Maybe there will not be a Republican president for the next 30 years? RUSH: Oh, I think that’s entirely possible, but not because of Iraq, and not because of me. There’s a clear way Republicans can win the White House. There’s a clear way that Republicans can win elections, and if they abandon it — if the candidates running for these offices abandon it — there’s nothing anybody else can do to save them. But I don’t think it’s going to be a 30-year drought. I’m not even sure it’s going to be a drought. I’m not conceding that the Democrats win ’08. I tell you, for all the problems the Republicans have, the Democrats, I don’t think they have a clue how silly they look, how dangerous they appear, how incompetent — and that’s a key word — and how corrupt they are appearing. They’ve lived by polls and focus groups that their own activists and pollsters take, and the Drive-Bys do puff piece stories on them. I don’t think they really have an idea of what the general population is beginning to think of them and the way they’re conducting themselves. This earmarks bill, this ethics bill, I tell you, it’s going to cause national outrage when people find out about this. This is one of the reasons Republicans lost in ’06. It wasn’t Iraq that the Republicans lost in ’06 for, it was the appearance of corruption and insulation from the people — a bit of arrogance thrown in — and the Democrats are heading right down that road again. RUSH: Let’s go Concord, New Hampshire, back to the phones. Michael, nice to have you on the program. CALLER: Hi, Rush, I’m a big fan. This is the 9/11 dude, 9/11 dude.com. And I’ve got a couple questions regarding bin Laden. RUSH: What — wait, what is 9/11 dude.com? CALLER: It’s a site dedicated to trying to figure out what exactly did happen that day. RUSH: You don’t know yet? RUSH: Snerdley, what are you doing to me today here? This is a 19th anniversary day. CALLER: I had no idea it was your 19th anniversary, but congratulations. CALLER: Exactly. It’s just one of those geographical situations. RUSH: Let me ask you, do the Democrat presidential candidates know this? Because they’re basing the entire war on terror success on the capture or murder of bin Laden. CALLER: That’s a very, very good point. I actually asked this question of Benny Thompson on Friday on C-SPAN, and he declined to answer. He didn’t have an answer for it. So that’s a very good point. RUSH: Okay, so there’s not enough evidence to indict bin Laden and the FBI is not looking for him. CALLER: Right. And the CIA disbanded the unit that was out to find him, and it kind of begs the question, well, if the FBI isn’t looking for him and the CIA isn’t looking for him, then who is? RUSH: Yeah. Don’t think we’re not looking for him. I don’t know what you’re thinking, but the idea that we’re not looking for him — I’m sorry, folks, I have to go back to Tora Bora. We turned that place 2,000 degrees, and it is said that bin Laden was seen on the ground there. If he got away from there, then he got away, but, frankly, I’m not convinced that the guy is still alive. But it doesn’t matter, regardless. We didn’t capture and kill Hitler. We didn’t capture or kill Tojo. We didn’t capture or kill Mussolini. We didn’t determine the success in those wars on the capture or assassination beforehand of the ringleaders of these particular nations and movements. RUSH: We’re back to you, Doug. You want to talk about Barack and his advisors and his military plans to invade Pakistan and kill bin Laden. RUSH: These are pretty good questions. These are questions that the Democrats ought to ask him in their next debate. Okay, what about the UN? You’re just going to unilaterally go in there? You’re not going to tell Musharraf? You’re going to give Musharraf a heads-up? What are you going to do? What’s the battle plan who was the generals advising you on this? Will they support your plan? CALLER: If elected do you think it was like a good idea to give terrorism — the terrorists — a head start, 18-month head start to move to a new location or to have their people trained and be moving out of that location to carry out their mission? CALLER: There’s just so many things that are just so askew by a person that’s trying to undermine the current administration. RUSH: Well, that’s true, but in addition to undermining the current administration, you gotta understand, there is a big-time presidential primary campaign underway and he’s trying to chip away at Mrs. Clinton’s lead, and, you know, she called him ‘na&iuml;ve.’ You’ve got to look at all this stuff in context. She called him na&iuml;ve after saying that he would meet with the thug dictators of the world as president and extend the offices of the presidency to these guys and legitimize them. Mrs. Clinton said that’s very na&iuml;ve. I’m all for diplomacy out there, but send underlings. I certainly wouldn’t do it the first year. It’s very na&iuml;ve for Barack to say this kind of thing. He fired back something, and she said, okay, the name-calling is getting silly here. So Barack is attempting to shore up his toughness here. It’s interesting play, too, because this is not what the kook fringe base wants to hear. The kook fringe base doesn’t want to hear the troops going anywhere but home. He’s trying to give himself gravitas. Well, see, it’s going to be interesting to see. I and a lot of other people like you think this is just a huge boondoggle. He’s shown he does not have the gravitas. He does not have the experience. He doesn’t have the sensitivities. To go around and say in a major speech to a guy that’s barely hanging on leading his country that we need as an ally, ‘If you don’t do what we want, we’re coming in. We’re not going to go to the UN. We’re not going to get any ‘global test.’ We’re not going to get anybody’s permission; we’re going in. You gotta get ’em. If you’re not going to get ’em, we’re going to get ’em.’ I think the real purpose here is to try to, as you say, highlight for libs that Bush is incompetent, wasting our treasure and money and time in Iraq, when the real enemy is in Pakistan, going back and forth on the border between Afghanistan and Pakistan. We had a caller earlier in the program who said we’re in Iraq, and this is exactly what bin Laden wants. Bin Laden wants our army to deteriorate. He wants our morale to go crazy. He wants our army to break. He wants our army to fall apart like the Soviets’ army fell apart after Afghanistan. Uh, the problem for that line of thinking is, we go into Iraq to overthrow Saddam and try to establish a beachhead of democracy, who pours in there? Bin Laden! Al-Qaeda! We lured these people in there and distracted them from attacking us anywhere else. There’s all kinds of ways of looking at this, but the idea that bin Laden is pulling our strings and we’re just a bunch of marionettes, that’s true if you talk about today’s liberals. It’s true if you talk about today’s Democrats. But it’s not true if you’re talking about Bush and those in the Pentagon that support him. By the way, for those of you who just cringe when you hear Barack Obama start talking about invading Pakistan to go get bin Laden and thus to claim victory in the war? It’s just sophistry. But how do we get to this situation? Why is it that bin Laden — if he’s still alive — pretty much has a safe haven? Does anybody know? Why did this happen? Why did Pakistan make the deal? Pakistan rather than use military action to wipe out these Al-Qaeda encampments in its northwest provinces, negotiated. They made a deal. They negotiated a deal with those sheltering Osama. ‘You leave us alone, and we’ll leave you alone.’ He had to get up today with a double whammy because he gets up and he hears that Obama wants to invade his country, then some hack from Al-Qaeda has put a video out urging a coup of the Musharraf government.